Homeland episode 4: Carrie Mathison, female super-spy. 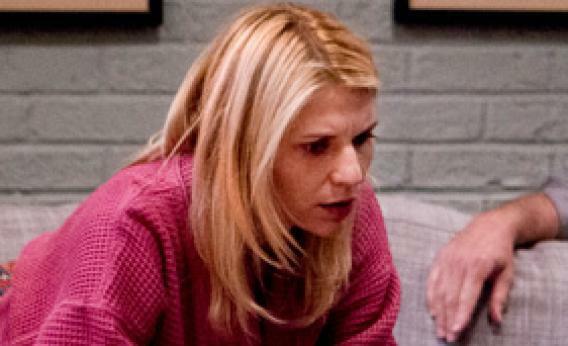 Ever since bipolar CIA agent Carrie Mathison (Claire Danes) arrived on television last fall with the debut of Showtime’s Homeland, there’s been something of a struggle to define her. She isn’t exactly a conventional anti-hero: As she pursues sleeper agent Sgt. Nicholas Brody (Damian Lewis), we actually want her to win, rather than hoping she’ll get a long-delayed moral comeuppance of the kind that Breaking Bad’s Walter White so clearly has coming. But she’s not a conventional hero either, given her complete disregard for rules and boundaries, and the mental-health issues she has under only intermittent control. Homeland is, I think, doing something new: While anti-hero shows often end up as sly critiques of masculinity (think Tony Soprano), Homeland actually offers a defense of Carrie’s emotionalism, turning it into a superpower rather than a feminine weakness. The anti-heroes who have dominated the so-called Golden Age of Television for the last decade have tended to embody both the strengths and pitfalls of various masculine-coded traits. In The Wire, Jimmy McNulty’s bullheadedness means that major crimes that might otherwise have gone uninvestigated are pursued and prosecuted, but his unchecked determination and supreme self-regard do great harm to the people unfortunate enough to be part of his personal life, and in some cases, to the careers of those who follow him down countless rabbit holes. Walter White’s obsessive attention to detail and enormous drive to make up for his past failings lead him to become a dominant producer of methamphetamine in Breaking Bad, but that same need for control also leads him to terrorize his wife Skyler. Mad Men’s Don Draper is a man whose masculinity, which once made him so successful, is now losing its currency. As with these guys, Carrie’s strength is also her weakness. But rather than first impressing us with her competence and then showing us how toxic that competence can be when it’s applied to other areas of her life—the traditional anti-hero trajectory—Carrie started out this season fragile and vulnerable, unable to take the emotional risks and strains of intelligence work, and has grown stronger by expressing her emotions more openly and honestly. She scored a victory when she personally reconnected with a former source, the abused wife of a Hezbollah commander. She renewed her bond with Saul by opening up to him about how deeply damaged she was by being wrong in her investigation of Brody, and he reciprocates that honesty by showing Carrie Brody’s martyrdom video before he shows it to anyone else, guaranteeing she’ll be roped into the restarted investigation. And Carrie’s emotional intelligence—her volatile, and yes feminine, instincts rather than the practiced cool of most spy heroes—is what drove last night’s episode (spoilers, needless to say, follow). She has none of the cold rationalism or killing competence of a James Bond, and her angry determination is as personal as it is patriotic. “I liked you, Carrie,” Brody says in the moments before he’s shackled and hooded. “I loved you,” she spits back at him. “If only the circumstances had been wildly different.” But in the end, she gets the man that no one else could. And in doing so, she proved that the thing that got her fired from the CIA, her mental illness, her quavering lip, and her extreme sensitivity to others, are the greatest assets in a room full of high-tech surveillance equipment and guys intent on playing it cool.